SAGES Research and Innovation Committee (RICom) manages the research funding processes; allocates SFC earmarked funds (PEER and PECRE); allocated SAGES Small Grants and International Conference Support funds; manages research forum processes. Membership comprises: Director; two leaders per theme; Graduate School Director; Business Development Manager. Advisory Board members may attend meetings. RICom meets on a 6 monthly basis in combined meetings with ExCom. Professor Inall is a member of the Research and Innovation Committee in his role as SAGES Director. I currently hold and Individual Merit Promotion (Band 3) Research Scientist post at the British Geological Survey (BGS) office in Edinburgh with over 28 years’ experience in the field of macro and micro scale analysis of deformed geological materials, working on a variety of projects throughout the UK landmass, Iceland, Poland, Germany, North America (Canada), Africa (Botswana) and the Middle East (United Arab Emirates, Oman, Saudi Arabia). In the past 15 years I have specialised in the study of deformed glacial sediments, the control of sub glacial to pro glacial deformation on glacier dynamics, and the reconstruction of past ice sheet margins. My background is physical geography but I teach collaboratively with civil engineers and environmental and social scientists. I work in interdisciplinary teams on research projects that contribute to our understanding of human interactions with nature, and natures’ interaction with the built environment in both urban and rural settings. I have extensive experience of working with the public and with stakeholders in relation to decision-making for multi-functional/multi-benefit use urban green space and rural environments. My major research interests at Abertay University include: Urban Ecosystem Services, Geomorphological and ecological effects of stream and river channel restoration; Blue and green infrastructure, urban drainage, SuDS and urban watercourses; Ecosystem-based Management; and Cultural/Societal interactions with nature. Dr. Philippa Ascough is Head of the NERC Radiocarbon Facility for the Environment, which is hosted at the Scottish Universities Environmental Research Centre. The Facility applies radiocarbon to virtually all environmental matrices, not only as a dating tool, but as an ultra-sensitive means to interrogate stocks, fluxes, and processes in the global carbon cycle. Philippa’s research focusses on how global environmental processes release carbon from the terrestrial environment. She is interested in the stability versus alteration of different molecular forms of carbon in the environment, particularly pyrogenic (fire-affected) carbon, and investigates the impact of fire on carbon cycling. She uses radiocarbon tracers to understand how organic matter degrades, particularly in the soil system, and a wide range of isotopic and spectroscopic techniques to interrogate short and long term carbon cycling. Dr Jorat is currently working as a lecturer in geotechnical engineering in the Division of Natural and Built Environment in the School of Science, Engineering and Technology, Abertay University. He is a geotechnical coordinator for the Sustainable Urban Carbon Capture: Engineering Soils for Climate Change (SUCCESS) project. His role involves designing and implementing field experiments to monitor geotechnical properties of substrates during the carbonation process, assess the impact of soil carbonation on flood risk and determine a validation process for measuring the carbonation process. His current research aims to specify a practical design for soils used in engineering, restoration and construction works that maximises sequestration of atmospheric CO2 (inorganically) through natural soil processes, including the use of ‘Carbon Capture Gardens’. 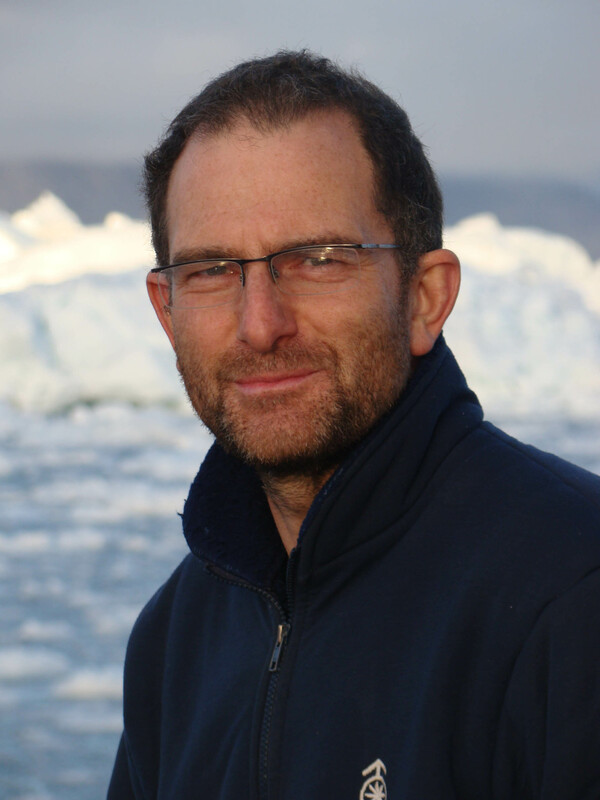 Finlo is a Senior Lecturer in Polar Oceanography at the Scottish Association for Marine Science (SAMS) and holds an Adjunct Professorship at UiT, The Arctic University, Tromsø in the Department of Arctic Biology. His main scientific interests relate to the oceans and seas of the Arctic and Antarctic, particularly the shallow, coastal seas and the fjords of the Arctic. He also works within the Scottish Marine Robotics Facility based at SAMS. He completed a PhD in sea ice physics at the Scott Polar Research Institute, University of Cambridge and holds a BSc (Hons) in Physics and Chemistry from the University of Manchester. I am a marine biogeochemist and NERC Independent Research Fellow in the School of GeoSciences, University of Edinburgh. My research focus is nutrient cycling in the polar oceans and its role in and response to physical climate change. My Fellowship focuses on biogeochemical changes in the west Antarctic Peninsula region, and I also have research projects focusing on different aspects of the Arctic system in the context of warming and sea ice decline. Dr Daniel Gilmour is a Chartered Water and Environmental Manager and Senior Lecturer at Abertay University. His research focuses on the enhancement of sustainability in the natural and built environment with interests in the fields of sustainability assessment, decision support and public participation in decision making, in particular sustainable service provision. He has significant research experience, working on a range of projects with Scottish Government, local government and business to support inclusive decision-making. His research influences local government organisations, the public, water companies and their regulators through the application of an integrated framework for the assessment of sustainability and the communication of the complex data required in this assessment to a wide range of stakeholders. His research has resulted in changes to public policy and services, raised the awareness and understanding of key stakeholders with a resulting increase in the ability of the stakeholders to make more informed decisions. I am an enthusiastic physical geographer with an interest in ice sheet bed forms and alpine landscapes. For the former, I work with theoretical and numerical modellers to understand how the bed of fast flowing ice evolves in response to the imposed stress and how this affects the dynamics of ice streaming toward the ocean. For the latter, I use formerly glaciated landscapes as an indication of palaeo climate conditions, which I then compare with existing past climate model outputs. My research, often focused on the spatial distribution of landforms at regional scales and the analysis of large datasets, is undertaken with state of the art GIS and remote sensing techniques. Katherine is currently acting manager of ECCI’s innovation team, helping to oversee the delivery of a range of projects. These include our Climate-KIC business support programme and is the innovation manager for SAGES network of Scottish universities at the forefront of geosciences research.